417 Lake Shores Dr, Portsmouth, VA 23707 (#10242634) :: Abbitt Realty Co.
WHOA STOP THE CAR!! 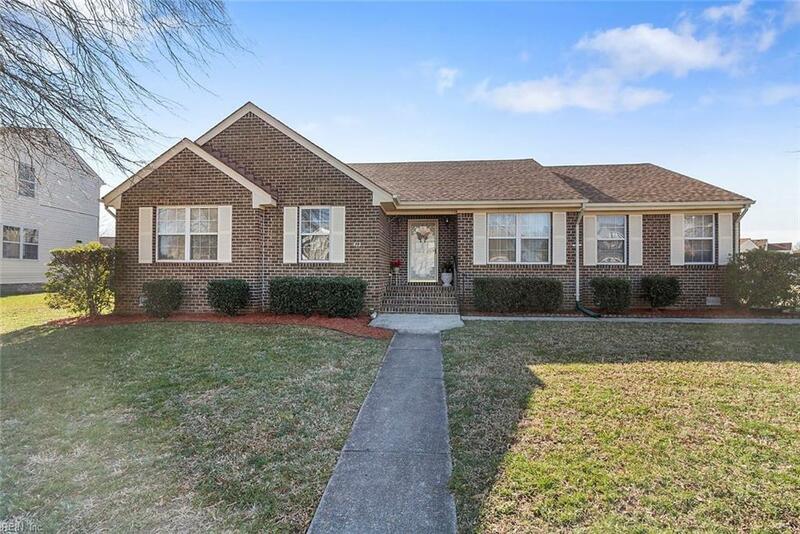 COME TAKE A LOOK AT THIS BEAUTIFUL CUSTOM FULLY BRICK 4 BEDROOM 2.5 BATH HOME! ORIGINAL OWNERS!!! 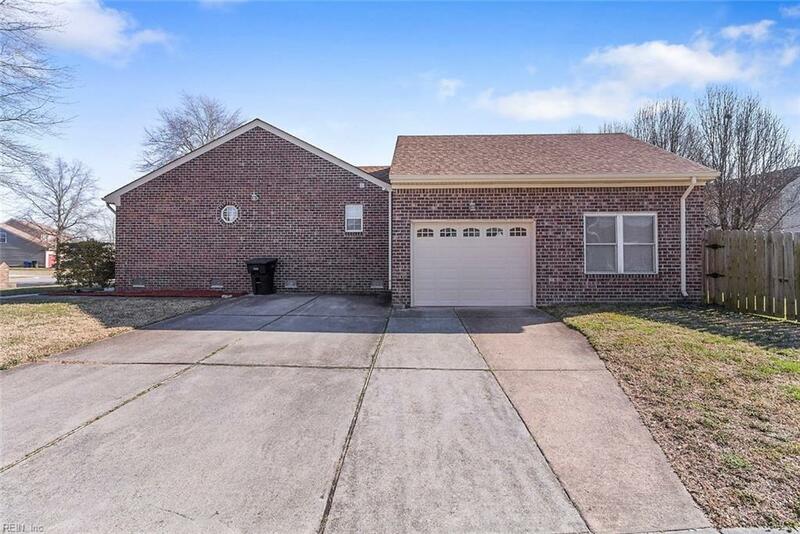 THIS RANCH STYLE HOME IS LOCATED ON A LARGE CORNER LOT WITH A NICE OPEN FLOOR PLAN AND CATHEDRAL CEILINGS. BONUS ROOM WITH PRIVATE ENTRANCE FOR IN-LAW SUITE. 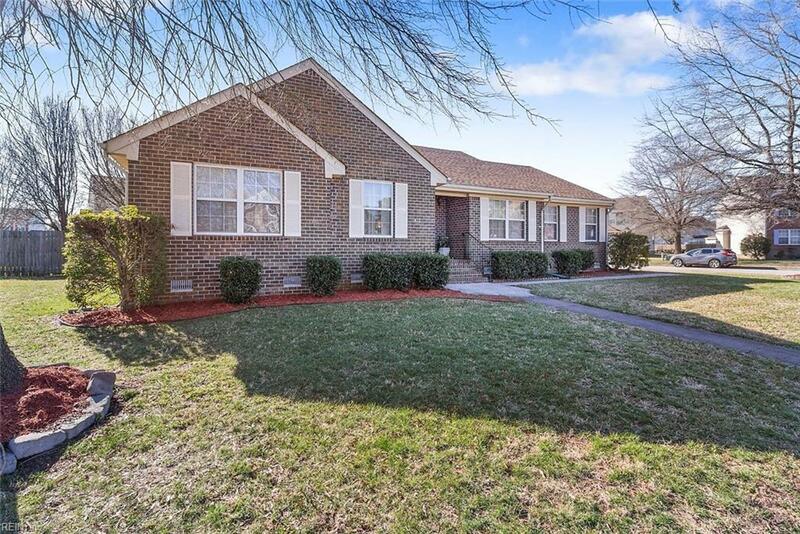 FORMAL LIVING ROOM, DINING ROOM, OPEN FAMILY ROOM WITH GAS FIREPLACE, NEWER HVAC, NEWER ROOF, NEWER WATER HEATER, SPRINKLER SYSTEM, LARGE PRIVACY FENCED IN BACKYARD WITH SHED AND SO MUCH MORE. 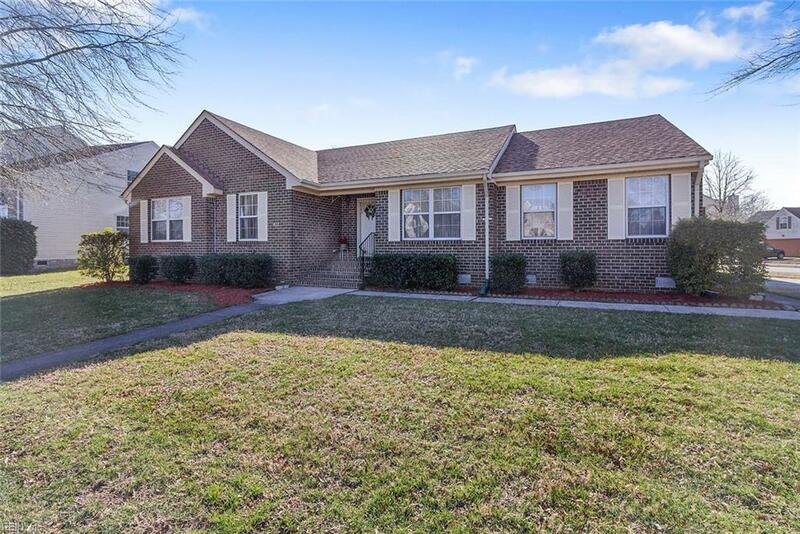 YOU'LL LOVE THIS BEAUTIFUL CUSTOM BRICK RANCH, IT IS MINUTES FROM PORTSMOUTH NAVAL, COAST GUARD BASES & INTERSTATES. COME AND SEE THIS ONE TODAY!!! All or a portion of the multiple Listing information is provided by the Central Virginia Regional Multiple Listing Service, LLC, from a copyrighted compilation of Listings. All CVR MLS information provided is deemed reliable but is not guaranteed accurate. The compilation of Listings and each individual Listing are © 2019 Central Virginia Regional Multiple Listing Service, LLC. All rights reserved.The information being provided is for consumers' personal, non-commercial use and may not be used for any purpose other than to identify prospective properties consumers may be interested in purchasing. Data last updated: 2019-04-19T18:57:11.697.